Still learning my new-to-me Superhawk and today as I'm looking to find the location of the CCT's I see this hole on the right side below the airbox. It looks man made (maybe melted?) what the heck was this for? Seal it up. It will let unfiltered air enter the engine including dust, sand, and/or grit. All this scratches and/or prematurely wears out the bores, etc. rktdoc got it right. No need to seal it. It is NOT part of the air box and won't let unfiltered air enter the engine. 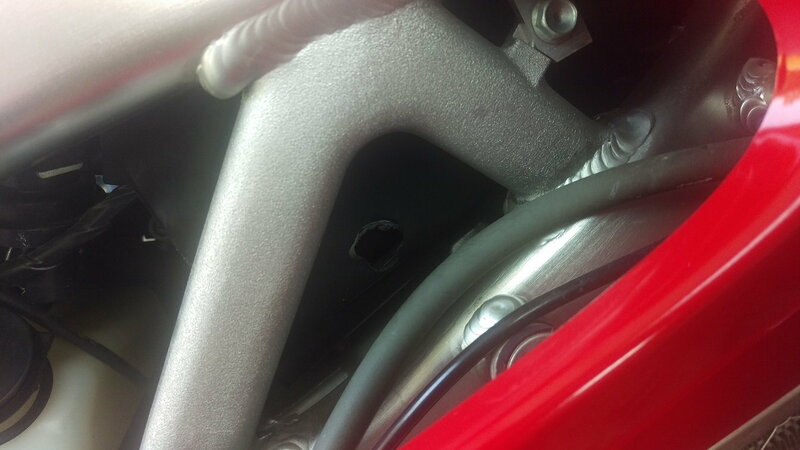 IIRC that hole is there so you can access one of the carb rubber clamps.